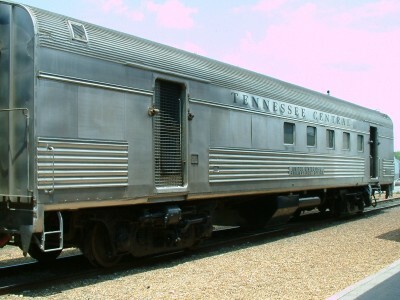 Office Car # 103 carried the markers from Nashville to Cookeville. For the return trip the locos "ran around" the train, and 103's passengers found themselves looking at the face of the E8A #6902. 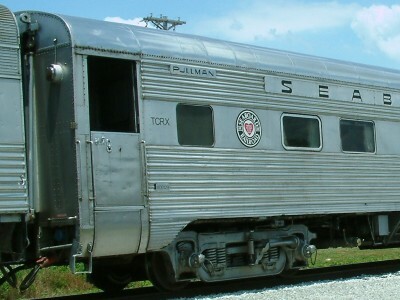 TC103 was built for the Southern Railroad by Budd as a 10-6 Sleeper car. She was rebuilt for Amtrak's Auto Train carrying the number 9012. 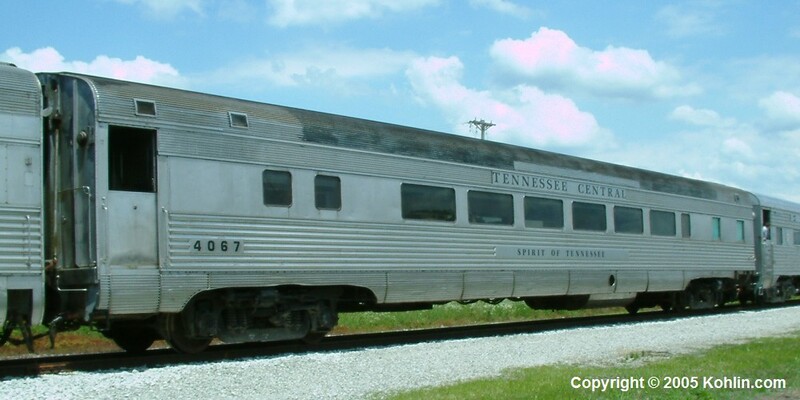 She currently belongs to the museum president, but was once owned by comedian Jackie Gleason. 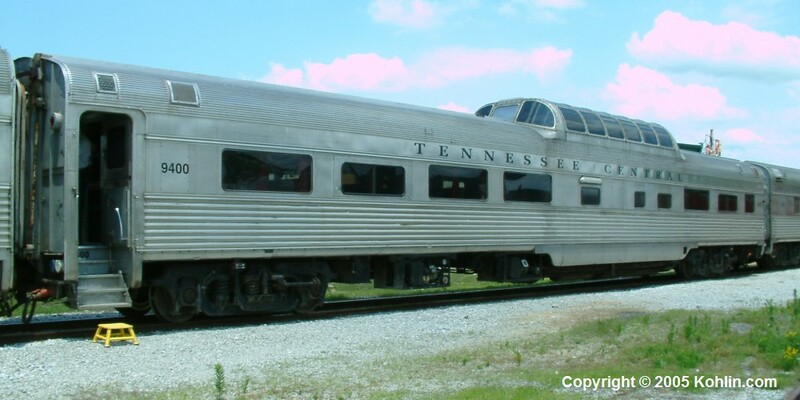 For more information, see the Tennessee Valley Railroad museum Equipment Roster HERE. 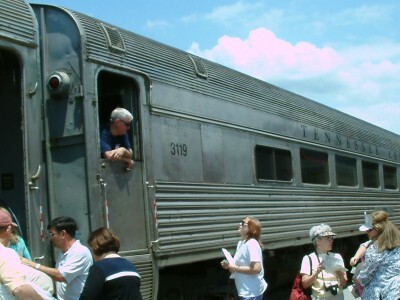 TC 4067 is a Private Car built by Budd in 1947 for the Pennsylvania Railroad. The "Hollywood Beach" is a very special sun lounge/sleeper car. 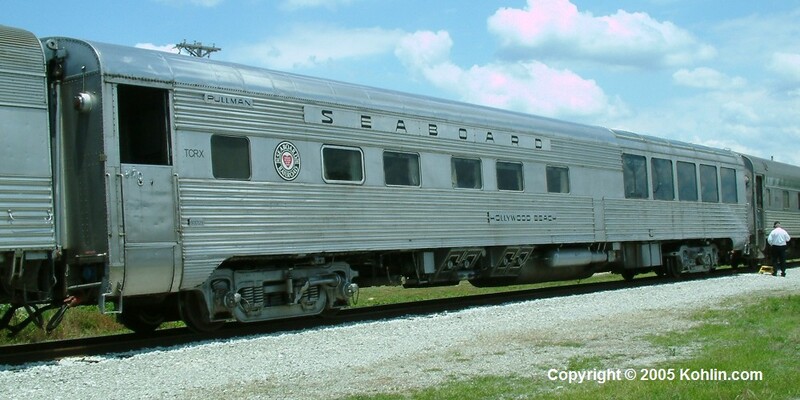 Built in 1956 by Pullman Standard for Seaboard's Silver Meteor service between New York and Florida, she saw service with the Seaboard Coast Line and, later, with Amtrak. 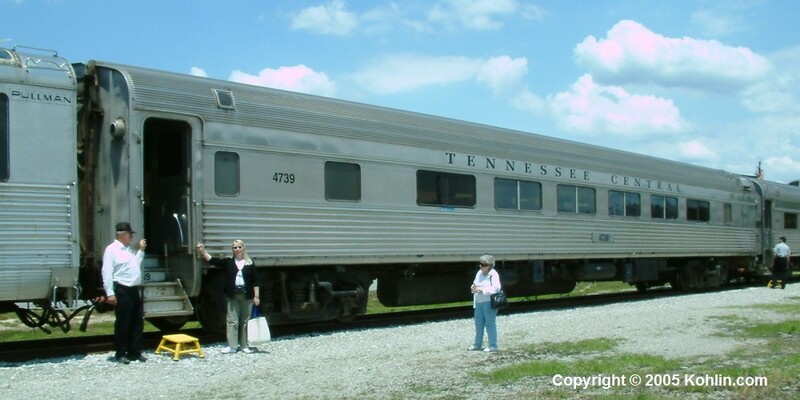 For more information and other links, see THIS PAGE on the website of the Tennessee Valley Railroad Museum. 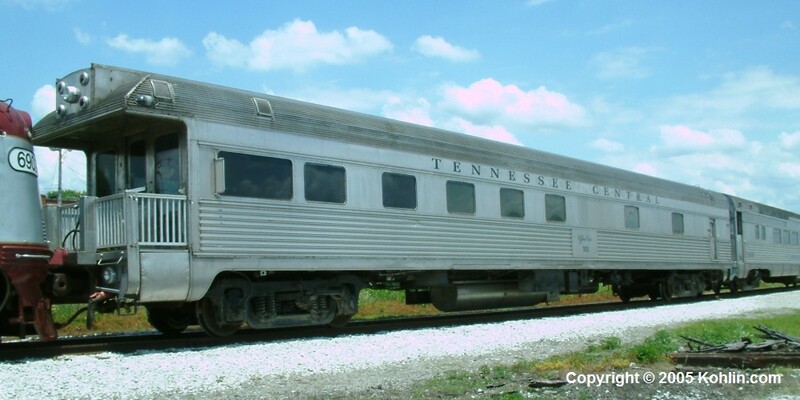 TC4739 is privately owned, a 48-seat coach built in 1953 by Budd for the Atchison, Topeka & Santa Fe. 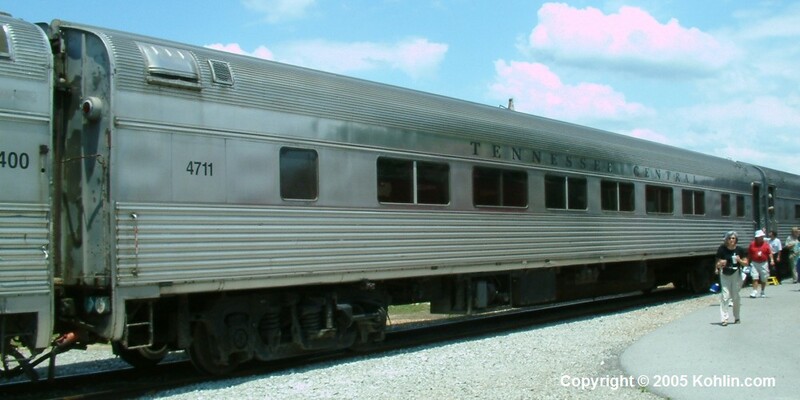 She's a sibling of the four Tennessee Central-owned coaches: 4711, 4717, 4719, and 4733. Our excursion on this car today was a special charter by Marvin Clemons of Birmingham. 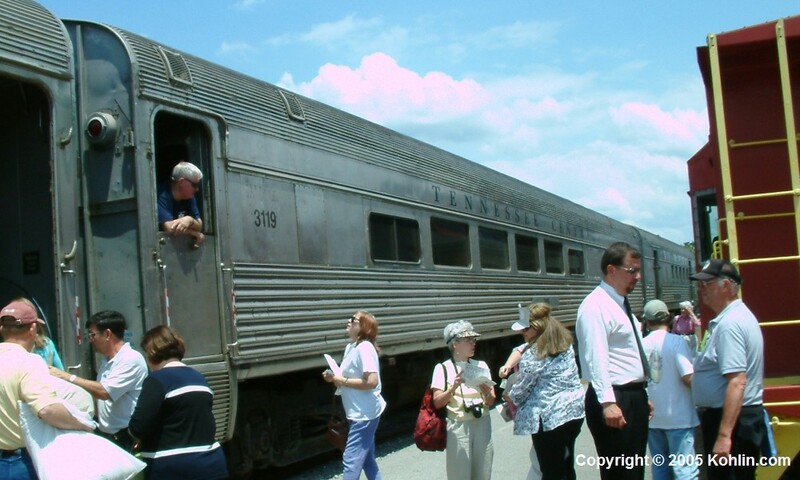 Check out his Southern Rail Charters web site if you're interested in a trip like this. 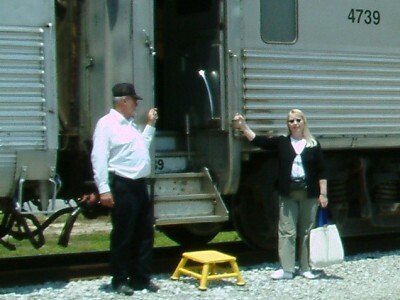 Anita poses here with Gerry Miller, vestibule host on 4739 for this trip. Thanks, Gerry. 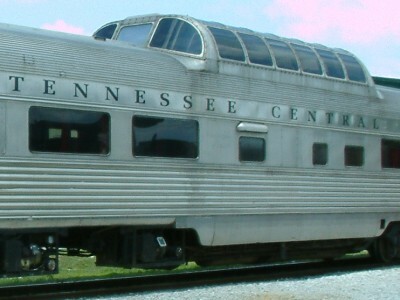 This Dome-Sleeper car was also part of the Marvin Clemons charter, carrying the First Class passengers. 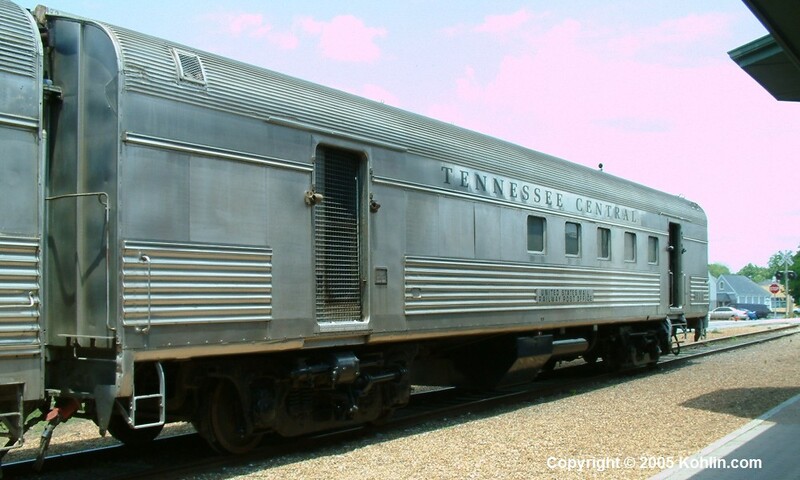 This beauty was originally built for the Northern Pacific Railroad. 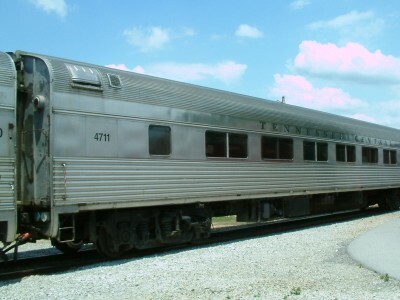 TC 4711 is another of the 1953 Budd-built Atchison, Topeka & Santa Fe streamlined 48-passenger coaches. Interior appointments still reflect her heritage, as do the others. 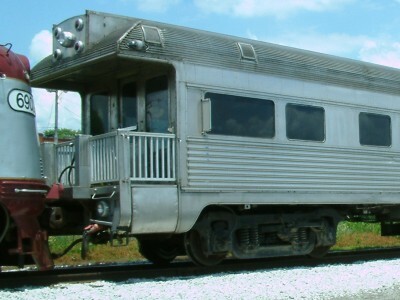 TC 3119 is a Budd-built Buffet-Diner-Lounge. She's used now to house the train's food concessionaires. 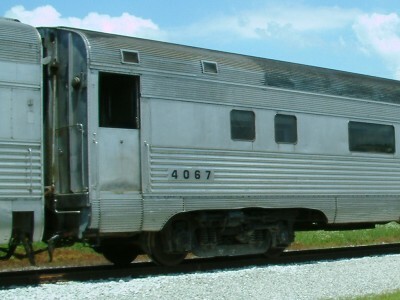 TC 514 is an ex-Rock Island RPO (Railway Post Office) car that's been converted to provide the 450-volt HEP (head-end power) for the train.